There is basically complete forgiveness and conditional forgiveness. When you are wrongly criticized, your feelings are hurt, or someone injures you in some way there is a tendency to want to punish that human for the offense. If the injury was intentional then forgiveness is harder to do but if you suspect that the injury was unintentional then forgiveness is a realistic option since we all make mistakes sometimes and offend humans without really wanting to. If someone is intentionally trying to ruin your reputation or trying to get you fired from a job then forgiveness may not be a viable option because they are trying to ruin your social status. Bad humans exist in society in relative abundance and if you can’t avoid them or ignore them then challenging them head on and fighting for justice may be the only realistic way of dealing with a situation. If someone acts like your enemy and tries to destroy you socially then you should fight back to the best of your ability and put up a good fight even though the odds may be against you winning the battle. In marital life your spouse is not your enemy or at least shouldn’t be so forgiving for bad behavior is frequently necessary to avoid the burden of vengeful hateful feelings festering in your mind. Moral transgressions such as adultery may be forgiven maybe once or twice but it should be conditional forgiveness and you should demand a sincere promise to not be adulterous again. If you don’t get a sincere promise to not be adulterous again then threatening with a divorce and actually going through with it is a realistic option. Lying is also a moral transgression which should not be tolerated in marriage or with close friendships because sooner rather than later a trusting relationship will break down and the relationship will no longer be one worth saving. Once again conditional forgiveness is necessary where you insist that lying again won’t be tolerated. How many times can your partner in a relationship lie to you with forgiveness from you? Life is not mathematics so there is no rule of thumb with which to determine how many times you can forgive lying. It probably depends much on what the lying is about. If your relationship is lying about important things in your life then chances are you will not be able to maintain a trusting relationship for very long. Forgiving offspring for bad behavior is necessary but you should insist on a sincere apology from the offspring. In the case of a moral transgression such as lying or stealing conditional forgiveness is necessary with a sincere promise that it will not happen again. Coupled with the conditional forgiveness should be a threat of severe punishment or withdrawal of important privileges for a long duration if the moral transgression happens again because lying and stealing should not be tolerated in trusting family relationships. 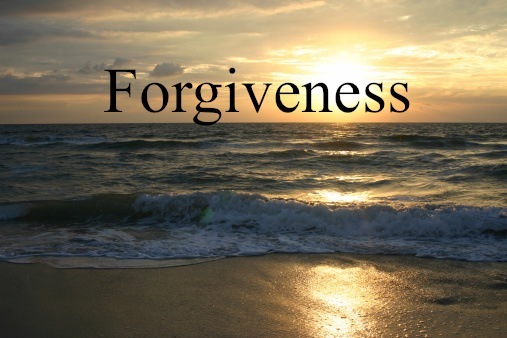 Conditional forgiveness can be demanded by asking the offender to compensate for the wrong done. For adults the compensation may be money and for offspring it may be requesting that they do household chores for a week or two as a form of punishment for the offense. There should be unpleasant consequences for important transgressions coupled with conditional forgiveness but for the minor offenses in life a sincere apology is sufficient to get complete and unconditional forgiveness. There are adults who will not apologize under any circumstances and many of them can also be unconditionally forgiven. If you liked this evergreen truth blog then read more of them, about 800 so far, and one or more of my evergreen truth books, especially COMMON SENSE, rays of truth in a human world filled with myths and deceptions. This entry was posted in common sense, education, science, society and tagged apology, common sense, compensation, conditional forgiveness, education, forgiveness, language, science, society, the truth about forgiveness, unconditional forgiveness, words on May 24, 2014 by uldissprogis.